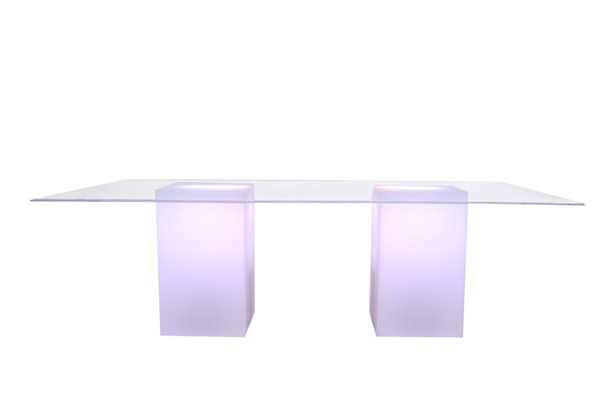 The Diddy Dining Table is made up of two tall LED pillars with a clear acrylic top. The LED pillars can be set in the color of your choice or they can also be set to roll through your choice of colors. We also carry the matching Diddy Cocktail Table and Diddy Highboy Table.